Says veteran actor-filmmaker Amol Palekar, whose speech was cut short by the members of the National Gallery of Modern Art in Mumbai. 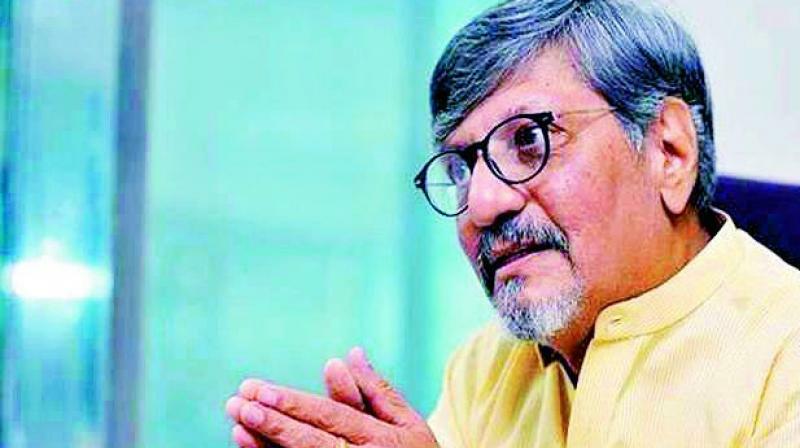 The veteran actor-turned-filmmaker Amol Palekar is miffed at being interrupted by members of the National Gallery of Modern Art (NGMA) during his speech. At the inauguration of an exhibition Inside the Empty Box, in the memory of the renowned artist Prabhakar Barwe, Palekar took a critical view of the Union Ministry of Culture’s decision to remove the advisory committee of local artists in the Mumbai and the Bangalore branches of the gallery. But before he could wrap up his speech, the curator and the director of the gallery interrupted him and asked him to stick to talking about Barwe. “I was disturbed. They’re breaking all norms of decency, so I was disturbed. But I kept my composure and maintained my decorum although the line of decency was crossed on stage,” recounts Palekar on what he felt at the moment.